Home Quick Tips Bitcoin: A Real Investment Opportunity or Just Another Bubble? The conversation about Bitcoin has been going both ways since it’s creation in the year 2009. Some consider it to be a revolution, comparing it to the likes of the creation and development of Internet itself. Others believe that it’s too early to make any claims, and it could all fall flat if not everyone jumps into the bandwagon. So what is the deal about Bitcoin as a whole? Is it really worth all the hype? Bitcoin is a digital currency. You can transfer it to others online or spend it online to buy goods. It’s universal in the sense that, it can be traded in relation to any world currency. The critical fact is that there is no centralised banking system or middle men behind bitcoin networks. This means that there are no transaction fees associated. They can be theoretically more faster and a lot more freedom for users. Bitcoins are based on a mathematical system and an open source framework and is hosted on the web by regular people. It’s free to use and is available for everyone. When you carry out a transaction using bitcoins, certain predetermined cryptographic calculations are done and a public ledger that contains every single bitcoin transaction from the beginning is updated – one big ledger for everyone in the system. This system is called as the blockchain. Bitcoins aren’t physical by any means, they aren’t tangible. They exist only in the digital realm. It is money that is based on mathematics and data, and not on gold or paper. With that being said, there are various forms of “bitcoin wallets” that are available for storing your private digital keys. You need them to access your bitcoin address, to carry out transactions to spend or transfer your bitcoins. They are based on a P2P network and there is no governmental interference anywhere in the process, there are no board of directors are regulations for that matter. Just the community that develops and maintains it. You will be able to set your bitcoin address in a matter of few seconds. Once done, you can own and control your bitcoins, without having to depend on any central authority. Bitcoin transactions are inherently anonymous. Each transaction is accompanied by an account number and the private key we talked about before, which is linked to an account, but not the name of the person. This is really great for those concerned about privacy and security. Though there are alternate arguments regarding the security that protects black market purchases, ransomware payments and narcotic sales that could be done without being able to be traced back. They are considered to be lot safer than your regular credit cards. You don’t have to enter your credit card information ever, online and bitcoin transactions generally don’t require much information from your side. There is no expiration date, card number or CVV involved in the transactions. Bitcoins uses only two keys: a public key (which is your bitcoin address that can be seen by anyone and everyone) and a private key (this is supposed to be kept secret, known only to you). When you are purchasing something by sending bitcoins to someone, you will have to sign off the transaction by combining your private and public keys. A mathematical function is applied behind the scenes to verify and execute them. Since the genesis of bitcoins, a maximum market cap of 21 million bitcoins has been set. 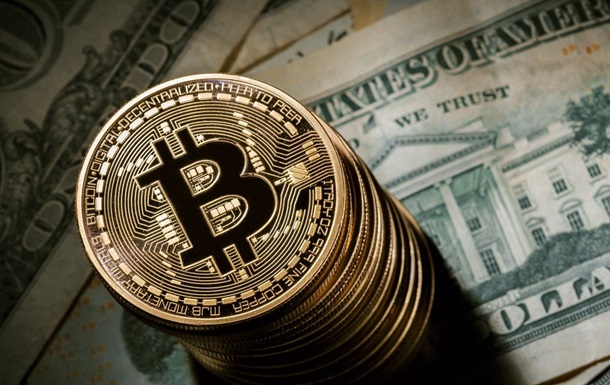 Therefore, the value of bitcoins can fluctuate a lot, skyrocketing at times and dipping at times – This depends on how long you are willing to hold on to them. The Bitcoin community encourages you to save them and use them for transactions as items might cost less bitcoins over the time. This extreme volatility has made it a good ground for speculative trading for high risk investments. It has created so many millionaires in recent times. You can read more on what is bitcoin trading here. I hope this article was useful for you to learn more about bitcoins in general. If you have any doubts with regards to this, let us know through the comments and we will be glad to help you out. If you have any suggestions regarding how we can improve the article, let us know them through the comments as well for us to improve. Previous: Why Mobile POS Systems are a Game Changer for Small Businesses? What You Need to Know When Starting Your Own Online Casino?